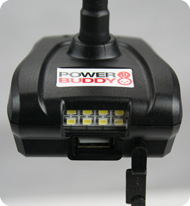 The Power Buddy's premium design features two rows of powerful LED lights to help you see and be seen. 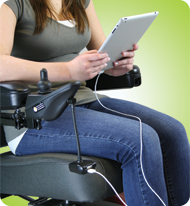 The flexible swan neck design allows you to twist and move the PowerBuddy so you can easily plug in your charging cord without having to fuss with it. 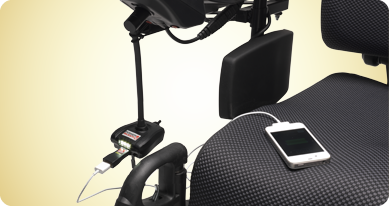 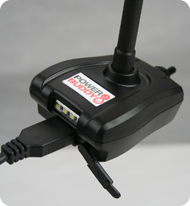 The XLR plug can even be rotated 180 degrees to fit any position on virtually all scooters and power wheelchairs with off-board chargers. 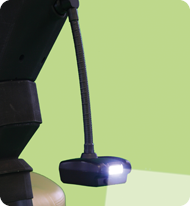 The PowerBuddy comes in attractive and ready-to-hang retail blister packaging. 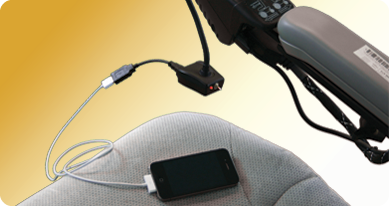 It is available in cartons of 8 to mobility product providers.